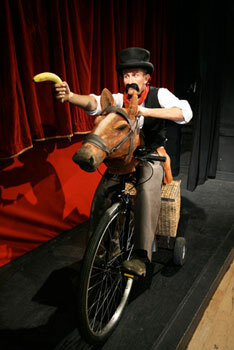 Walkabout Victorian eccentric, Dr. Pandemonious Fish comes in various guises, a potion selling charlatan, a bumbling Victorian gentleman, a daring explorer or even the banana toting wild west hero “Doc” Fish complete with his iron horse “Rusty”. 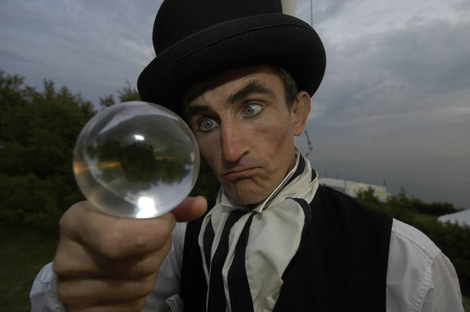 Dr. Pandemonious Fish is available as a mix & mingle character, compere, or cabaret and street show and is guaranteed to entertain with his combination of cunning circus tricks and preposterously pompous clowning around. Around the World by land, air and sea join Dr. Pandemonious Fish and his beleaguered butler Archibald Beardsley as they attempt to circumnavigate the local area by land, air and sea. 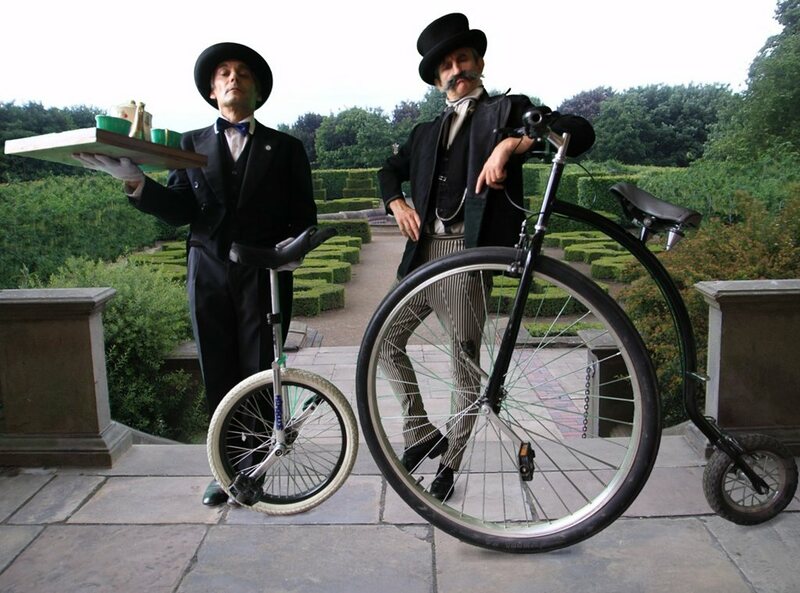 These Victorian gents are proud to possess all the accouterments required for luxury travel. 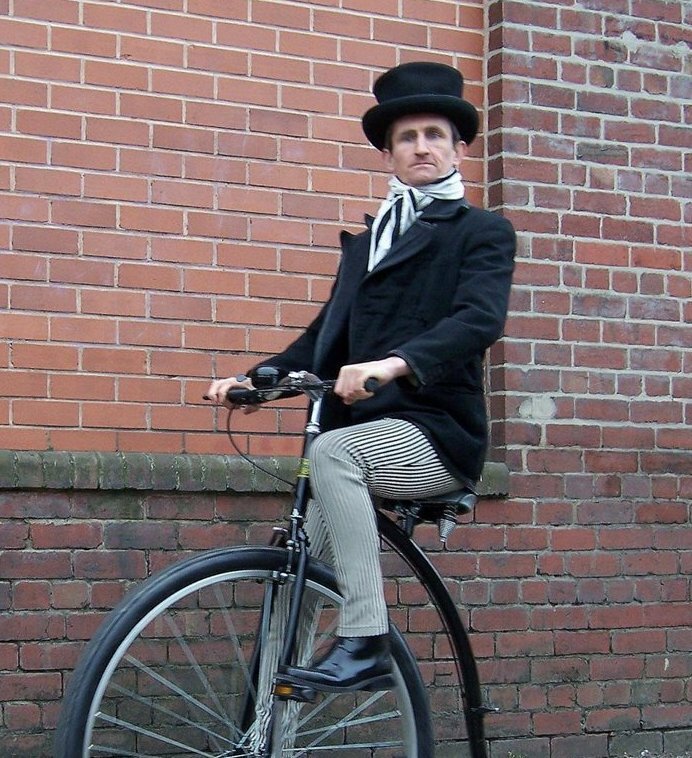 This is a unique victorian walkabout extravaganza in three parts. Land – Dr. 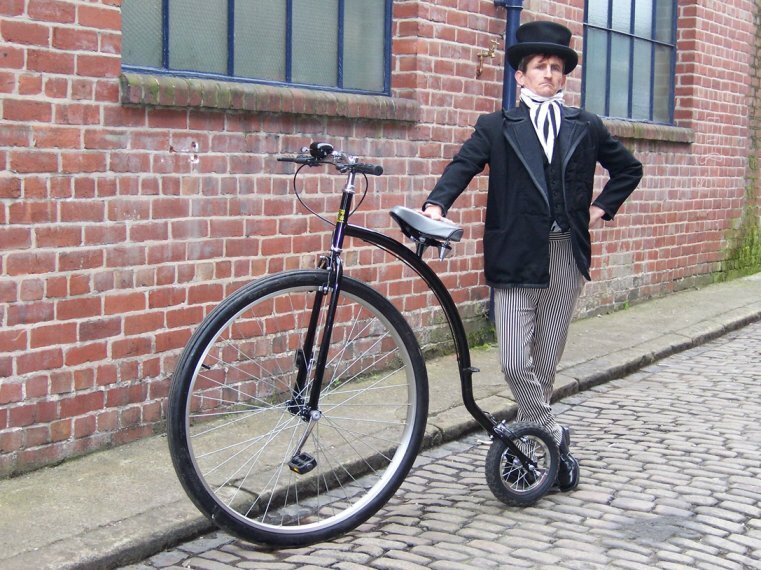 Fish atop his penny-farthing and Beardsley stoically following aboard a unicycle with afternoon tea. Air – The latest in aviation technology; the cold air balloon. Sea – Seafaring made bearable; the electric galleon – unsinkable! Standard Length of Performance: 3 x 45 mins. 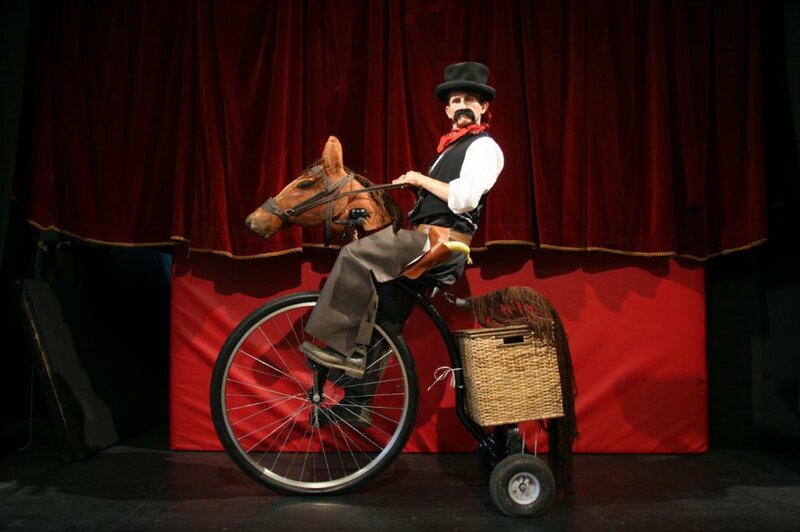 ★ Guaranteed to entertain with a wide range of cunning circus tricks.